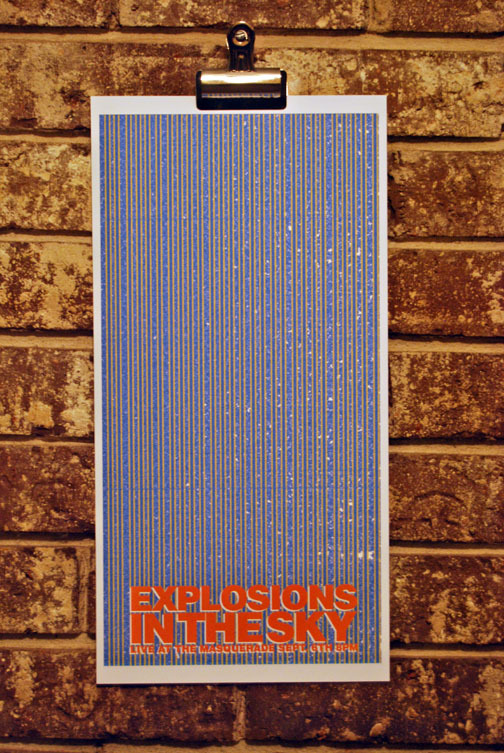 A poster for the instrumental band Explosions in the Sky. 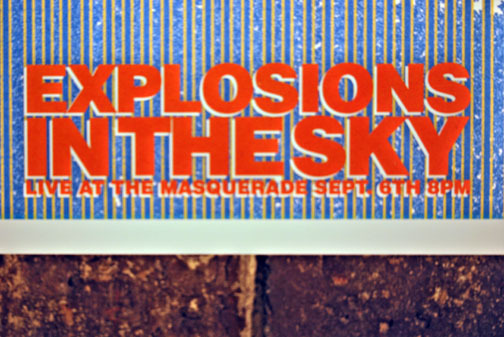 Although there are no lyrics in their music, it still remains very heavy...One word I can use to describe their concerts is euphoric. 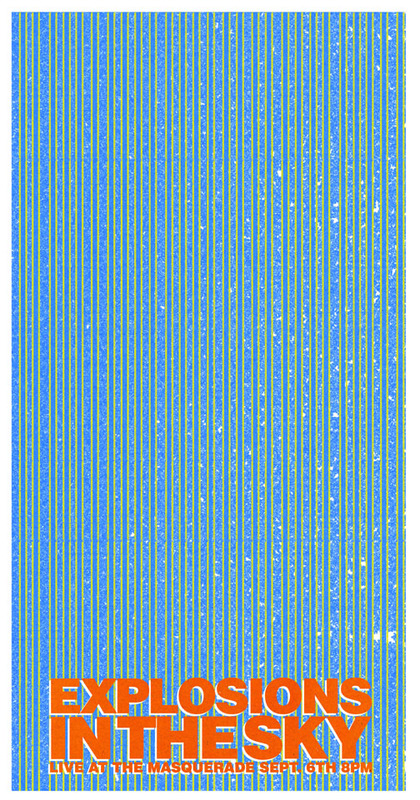 For the design of the poster I tried to create something that fit well with their music.